Whitehorse City Council awarded a $270,000 contract for consultation services for the expansion of the compost facility to Tetra Tech Canada Inc. at the Jan. 28 regular council meeting. There was some confusion amongst councillors as to where that money was coming from. Cash is coming from what’s left of last year’s budget, and an increase in this year’s budget for the project which will require a temporary dip into the capital reserve. Director of development services Mike Gau tried to explain the process several times, but council became increasingly confused until director of corporate services Valerie Braga was brought in to clear things up. Essentially, Braga explained, there was $87,300 left over in from the 2018 budget for the compost facility project. The 2019 costs for consultation were greater than had initially been expected, so council also increased the amount in the 2019 capital budget to $270,000 including the $87,300 left over from last year. The extra $182,700 will be funded through the gas tax, but an amendment to that agreement has to be made before that money can be made available. In the meantime, that money will be temporarily be pulled from the capital reserve, to be replaced when the gas tax money amendment is approved. Once everything was finally sorted out amid much murmuring, Coun. Dan Boyd said he still had a few concerns, mostly about why the project cost more than was projected in the first place. Tetra Tech is a national company with a local branch in Whitehorse. A bylaw which proposes a number of administrative edits to the zoning bylaw passed first reading at the Jan.28 regular council meeting. The proposed changes are intended to “provide clarity and continuity throughout the (existing) bylaw,” Coun. Steve Roddick, chair of the city planning committee, said in his report to council. The proposed changes would include “clarification to certain definitions, general development regulations, specific use regulation, and lot coverage and setback regulations in specific zones” and includes a proposed mapping change to accommodate a potential school site in Whistle Bend. It would also propose two new offences to the list of those which are “ticket-able.” This includes a $250 fine for failing to comply with zoning bylaw regulations or failing to comply with a a bylaw order, both of which would double to $500 on their second offense. Director of development services Mike Gau said the new perennial additions do not exclude the use of annuals, and that people can still “have a garden” for example. It also only pertains to new developments, he said. The bylaw will go before council for a second and third reading Feb 11. 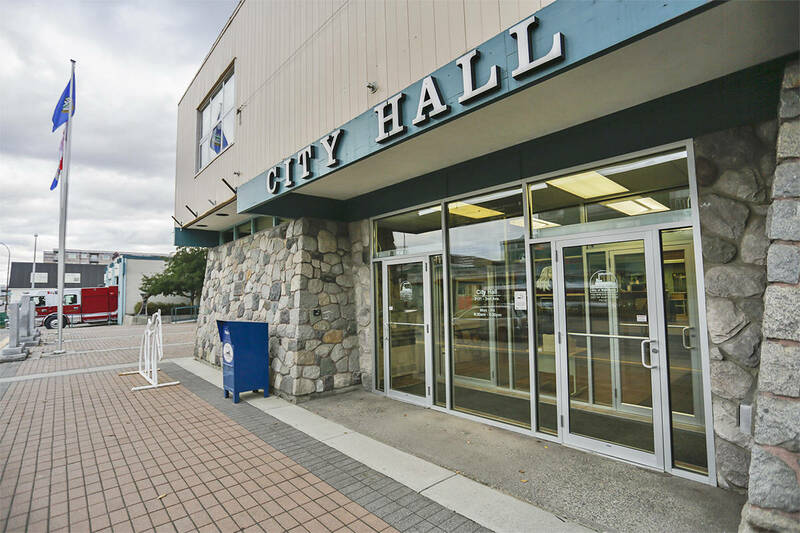 Council voted to award the employee assistance program (EAP) for City of Whitehorse employees to Homewood Health Inc. for a three year contract of $52,000 a year, for a total of $156,000 over that period. The EAP is designed to provide counselling, mental health and addiction services to employees who require it. Homewood Health is a national company with six counsellors in Whitehorse, city spokesperson Myles Dolphin confirmed. Councillor Stephen Roddick was appointed as one of two council members to represent the city on the board of the Association of Yukon Communities (AYC) at a regular council meeting Jan. 28. A new appointment was necessary because Councillor Jocelyn Curteanu, who had previously been one of the two representatives, along with Councillor Jan Stick, is now the Vice-President at large of the board of the AYC. “I am honoured to join Councillors Curteanu and Stick on the board,” Roddick said. Roddick will serve in this position until Oct.31.